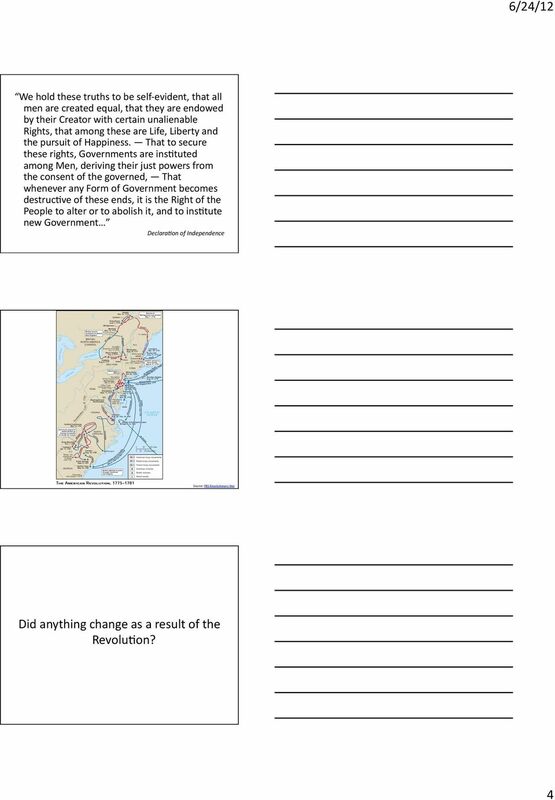 Download "TITLE OF LESSON PLAN: American Independence (HIST 171 World History to Present)"
3 students to talk about their ideas before committing them into writing and receive feedback from their peers to refine their thinking. 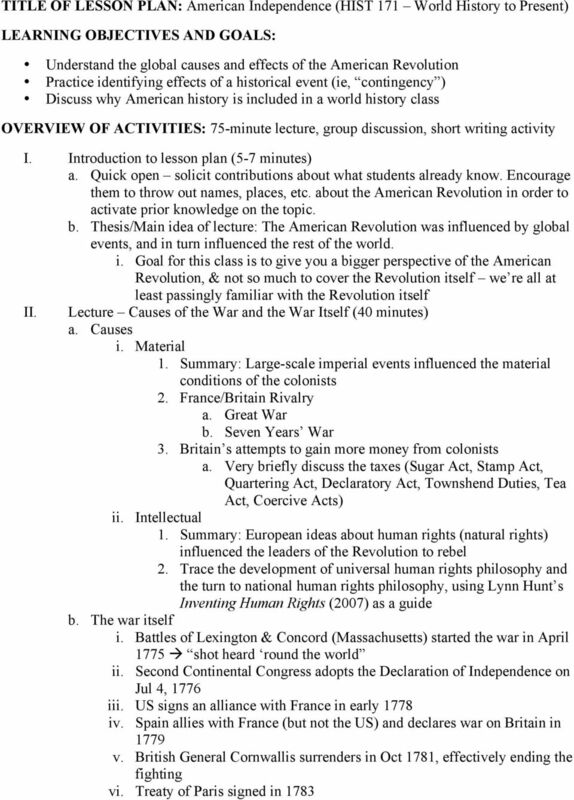 The short, low-stakes writing assignment at the end of the class allows students the opportunity to practice their writing skills and engage with the content more substantially and the chance for the teacher to check-in with students understanding of the day s lecture before assigning grades on a major essay or test. ASSESSMENT The teacher will ask for verbal feedback from students during the think-pair-share portion of the lesson. 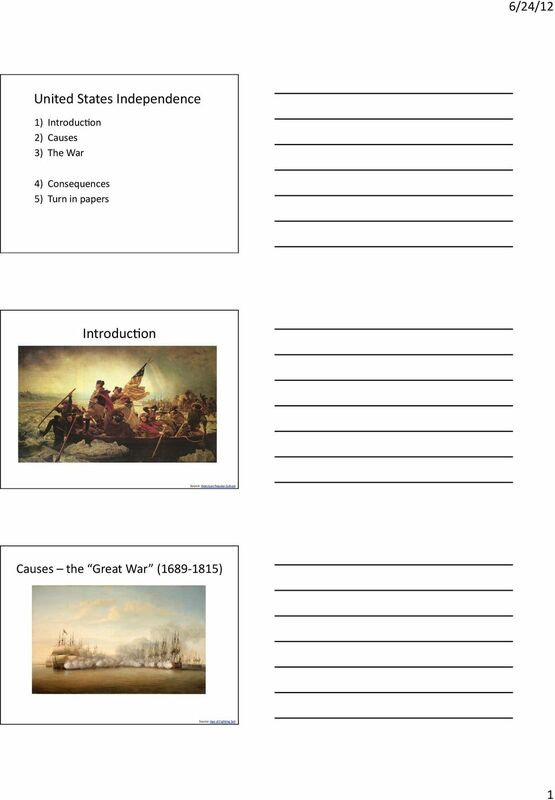 o Students with a superior understanding of the material will use lecture and reading material as evidence in their response to the think-pair-share prompt. 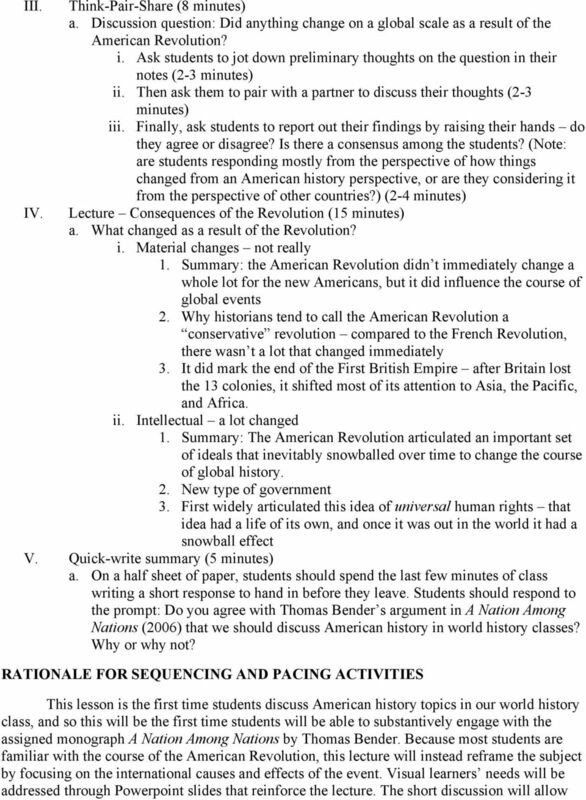 If students believe the Revolution was an important pivotal event in global history, there should be evidence of critical thinking and reasoning and not simply because it was an important event in American history. o Students whose ideas are still developing will be unable to support their opinions with more in-depth analysis and evidence from lecture or reading material. 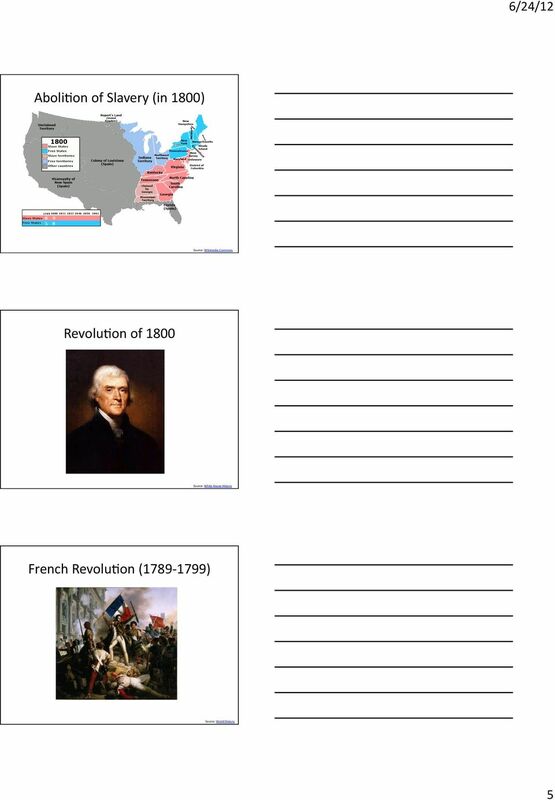 They will likely argue that the Revolution was an important event because it changed the course of American history, but be unable to evaluate the event s importance from the perspective of other nations. 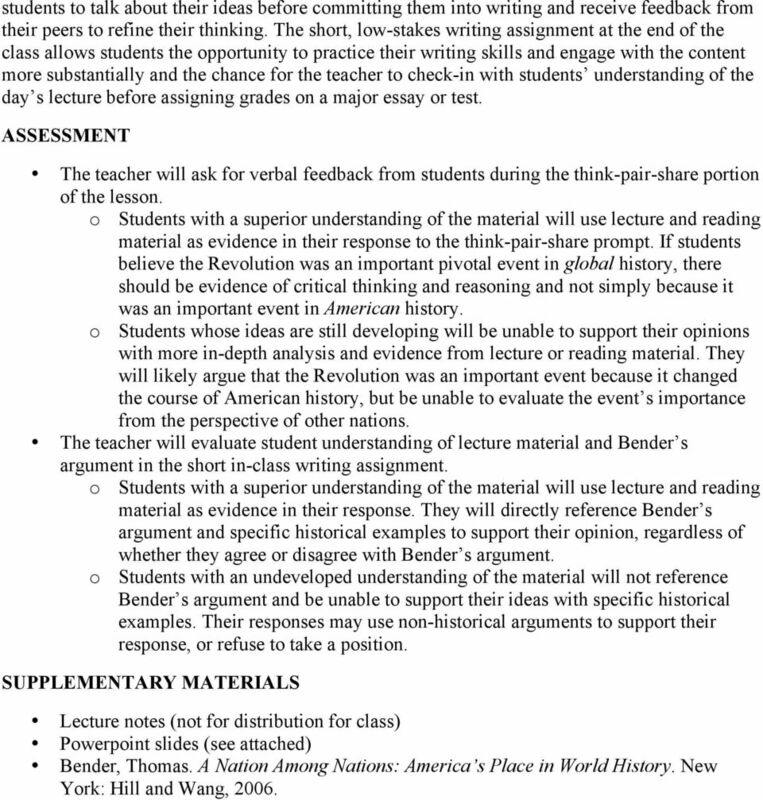 The teacher will evaluate student understanding of lecture material and Bender s argument in the short in-class writing assignment. o Students with a superior understanding of the material will use lecture and reading material as evidence in their response. 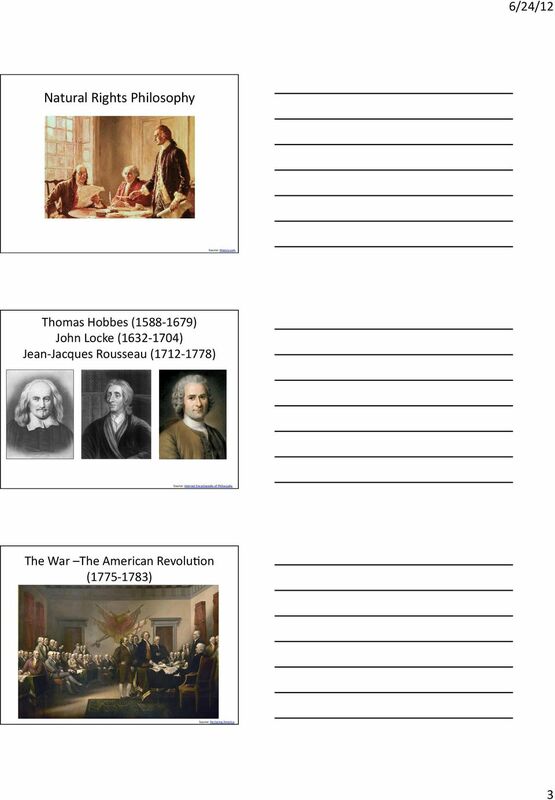 They will directly reference Bender s argument and specific historical examples to support their opinion, regardless of whether they agree or disagree with Bender s argument. o Students with an undeveloped understanding of the material will not reference Bender s argument and be unable to support their ideas with specific historical examples. Their responses may use non-historical arguments to support their response, or refuse to take a position. 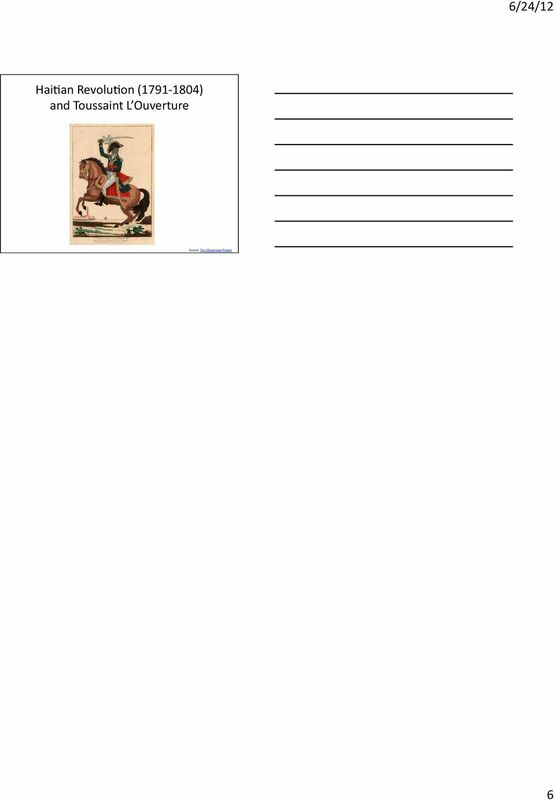 SUPPLEMENTARY MATERIALS Lecture notes (not for distribution for class) Powerpoint slides (see attached) Bender, Thomas. A Nation Among Nations: America s Place in World History. New York: Hill and Wang, 2006. 1. The colonial response to British attempts to tax them without their consent was summarized in the slogan: a. No, no not a cent for a tribute b. 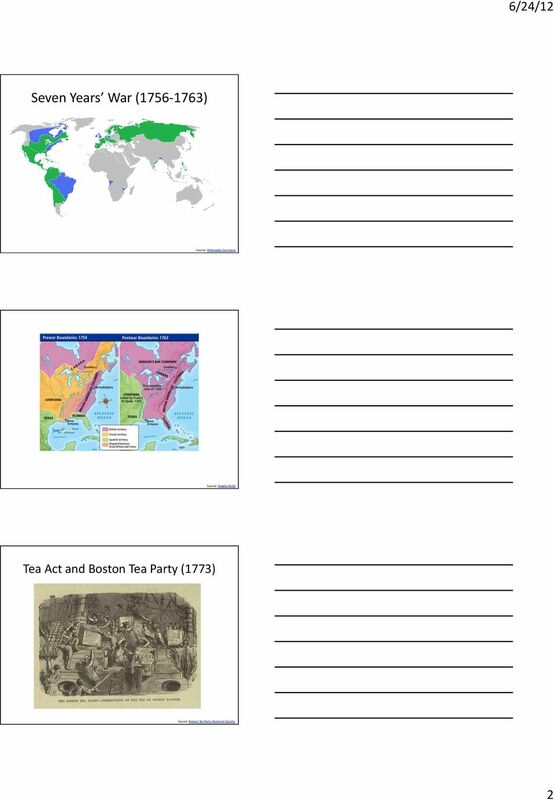 Course: This unit is designed for an 11th grade American Studies course. Warm-up. Why might you form an alliance? What are some of the advantages and disadvantages of alliances?